An alternate title: "What I'll do on my next 10 summer vacations." Oy! 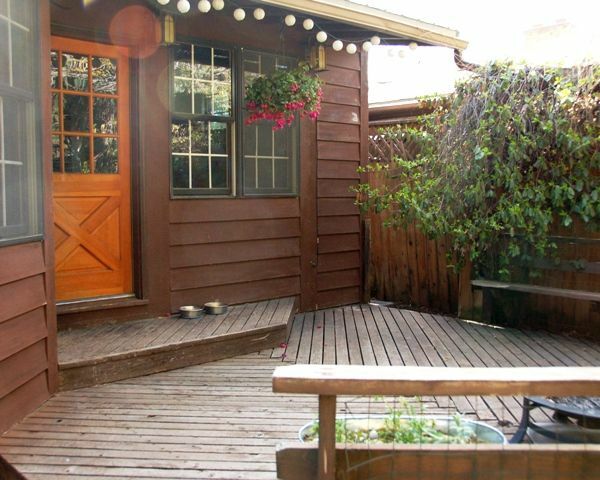 When we looked at this house two years ago, one of my favorite things was the backyard. 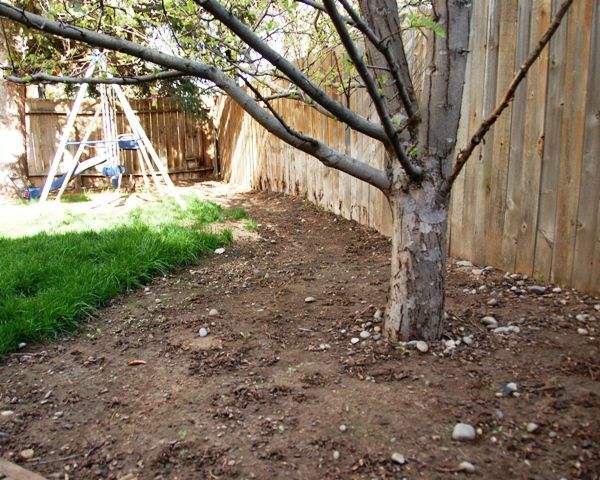 It was so private and green (you know, except for the no-grass-dirt-yard thing) and I rejoiced in the fact that I was getting my dream with mature trees + DIY needs. The yard is small, so I want to make the most of it. 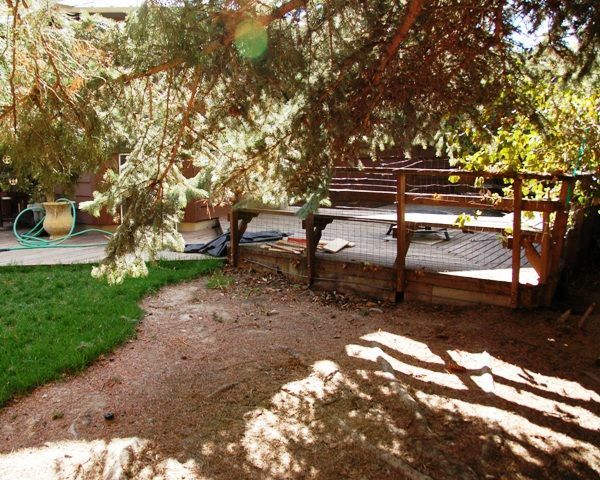 Immediately after we moved, we pulled out some shrubs, tore a rotting side deck out, removed a tree, and added sod in what I like to affectionately call "The Great Mess of 2009." Last year I spent my entire summer building a bunk bed (yeah it took me that long) so I didn't make any real progress in the backyard... but now I have a blog to keep me motivated! - Remove all the wire from the backs of the bench decks, build a new support behind the benches to maintain and increase the green wall look while increasing the comfort level for bench sitters. - Fill in the gaps in the bench backs with 2x4's for a more solid look. - Add cushions, tables, and other wonderfully colorful and soft items for instant fabulousness. - String up some more twinkle lights, 'cause I'm all about the twinkle lights. - Convert back door into a dutch door, and paint it a fun color. - Add a planter box underneath back window for some more green. - Landscape under pine trees what we little we'll be able to -- any suggestions? - Add a hammock? I just might! I'm a fan of lounging. 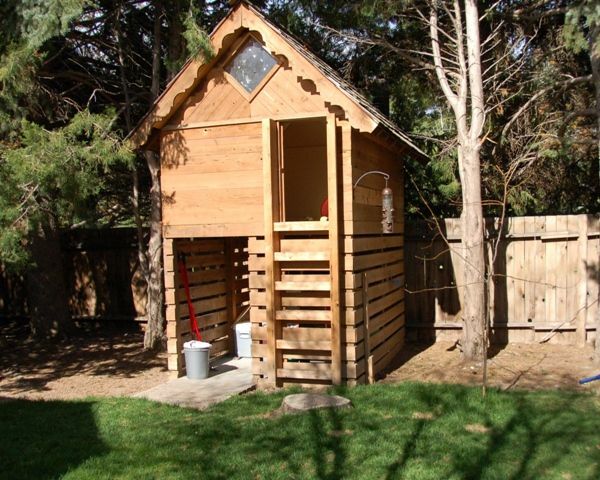 - Build a door for the "shed" below the treehouse to keep kiddos out. - Paint treehouse exterior trim and door, and "decorate" interior, what fun! -Get some flowers to grow in the empty garden beds. 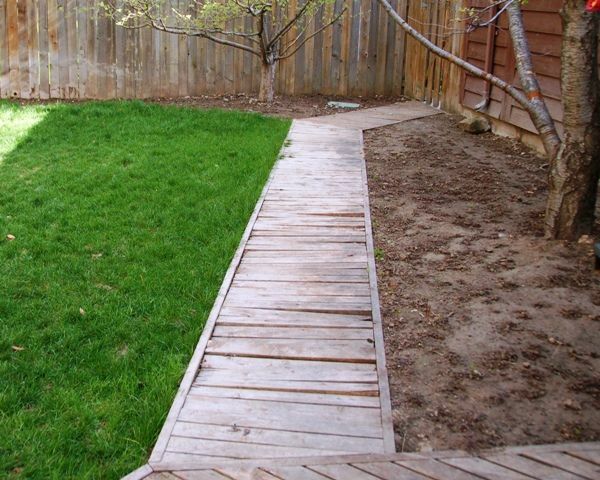 - Remove wooden pathway (it's in really bad shape) and replace with stones or pavers leading to the side garden. 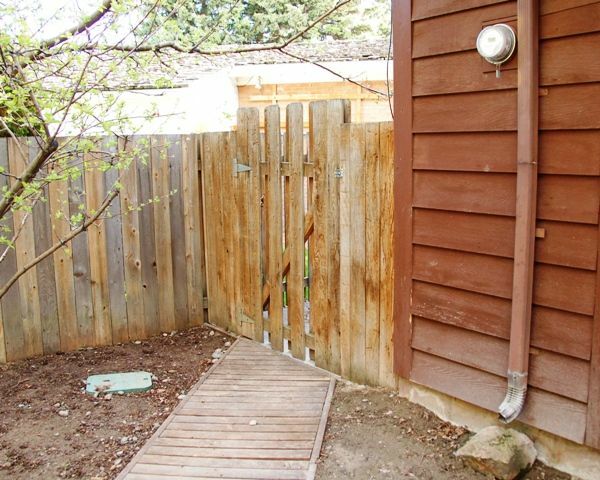 -Speaking of the side garden, remove the back gate so we can take advantage of that space too. 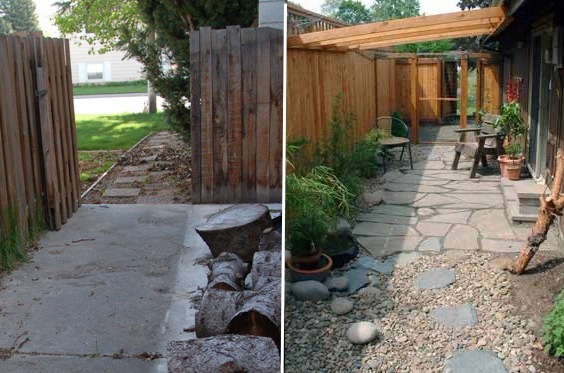 -Remove cement from side garden (doesn't that sound like fun?) 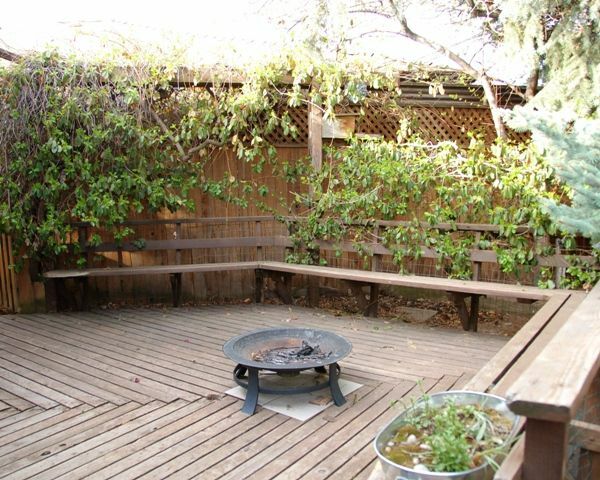 and use the below inspiration photo to transform the space into an awesome party zone. Or at least a useable space. It goes without saying that these projects will undoubtedly span many years, and I'm sure by the time I cross the last one off my list I'll have an even longer list of new changes. I think it's safe to say I have an addiction. I can't wait to get my hands dirty... bring on the sun! Anna, it looks so beautiful already. I love the Dutch door idea and the window boxes. I have never seen a wood walkway like that...do you get splinters on your feet? Can't wait to see the progress as you go. Wow, that is a list and a half! Good luck with it, I hope there are many many sunny days to finish it AND enjoy it :) Just came across your blog and am excited to see more. 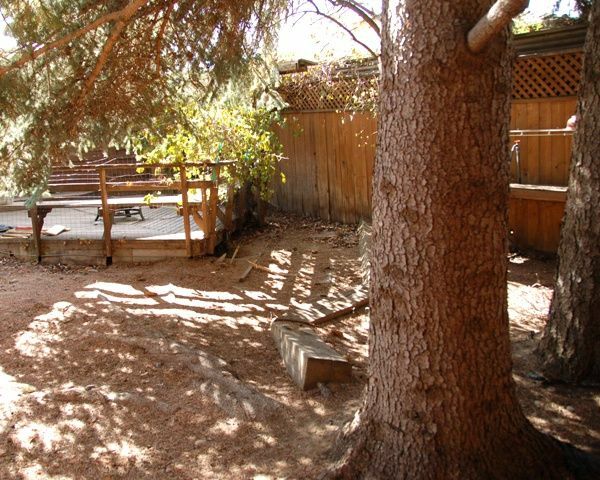 You have an awesome yard and fantastic ideas.